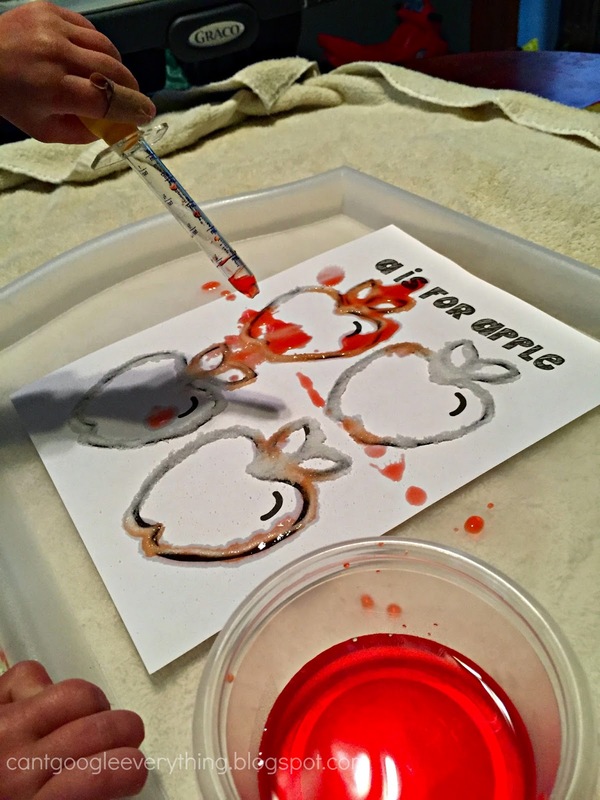 Salt Painting and a Free Printable! 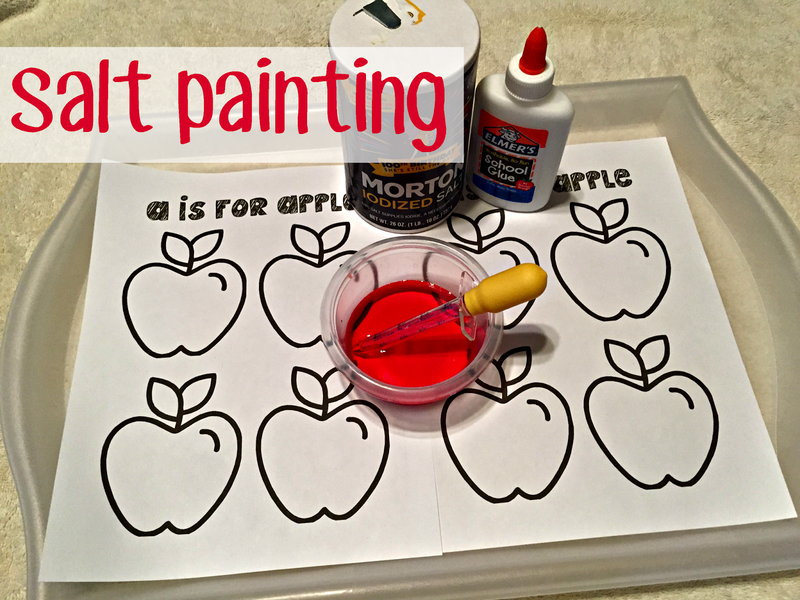 Salt painting is a fun activity to do with your older toddler or preschooler and so easy to set up! You can do this with things you probably already have around the house. 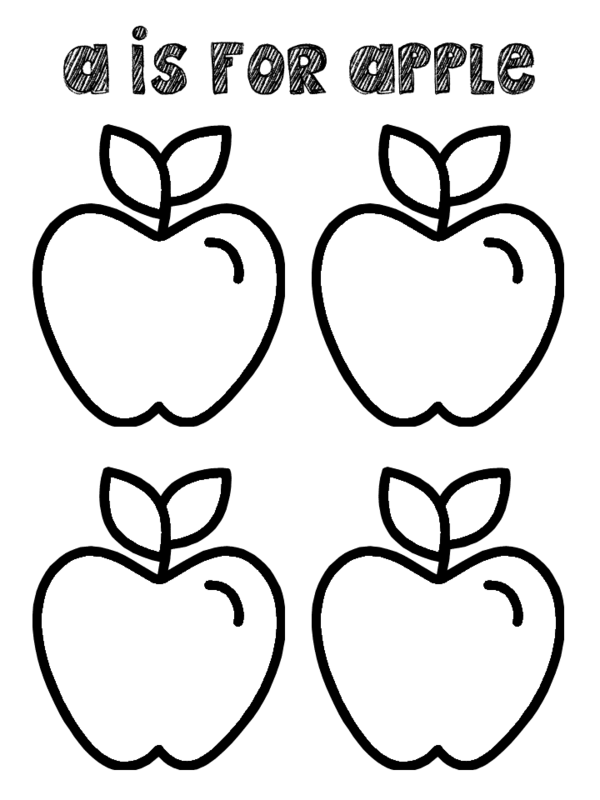 I created an apple printable for this activity, which you are welcome to grab below! You can also just write out words, draw pictures or have your kids draw the picture they want to paint! Trace your design with a thick line of glue and then sprinkle salt on it so the glue is completely covered. My son loved helping with this part! Shake off the excess salt. Have your kid use the dropper to drop the colored water onto the salt. 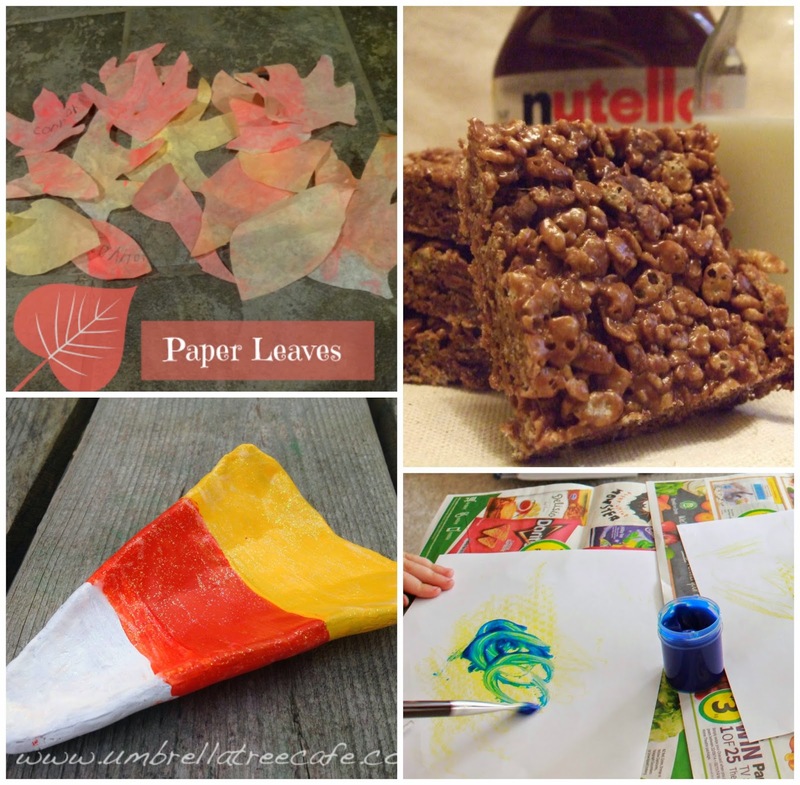 This activity is great for fine motor skills! As you can see from this photo, we are still working on how to use the dropper correctly! If done correctly and carefully, the water will do right onto the salt and spread the color out to dye the salt/glue outline. This is great practice for control and coordination. Right click to save as a picture or click here to access the pdf file! 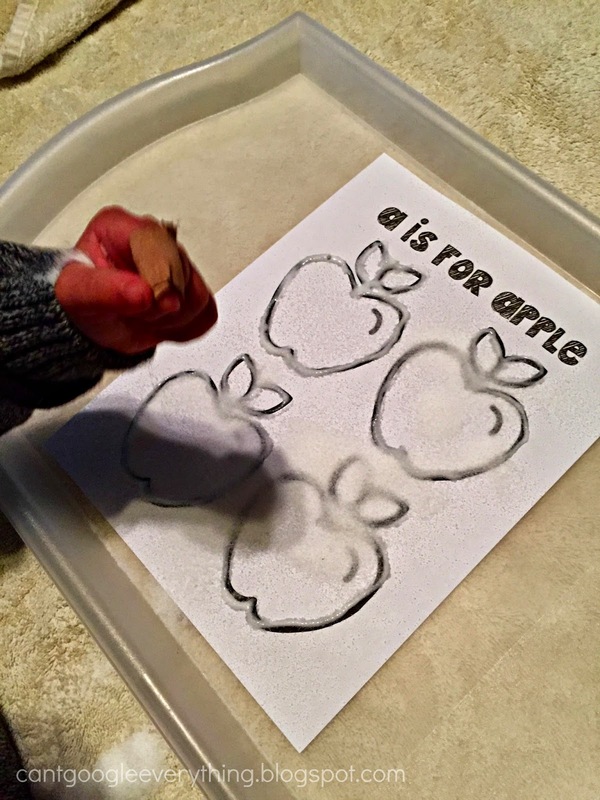 Here is the “a is for apple” printable I created! Let me know if you use it and what other activities you might use it for! Don’t forget about our Holiday Craft Challenge! Click to see all the details and we hope to see you link up your fun kids holiday craft with us on December 2nd! Thinking of participating? Let us know with a tweet or facebook tag so we know to keep an eye out for your Holiday Craft post! Always surprised by the crafts you come up with! I don't have much use for this, but cool idea nonetheless! I never heard of salt painting, I need to try this out with my daughter! This is up her alley. I also need to remember to enter the giveaway with one of our holiday crafts! I wanted to make an Advent calendar with her so we'll see how that goes! All linked up! We love salt painting! I like this idea. Perfect craft for preschoolers. Fun idea! Perfect for rainy days or when the kids are home from school due to snow. This is new to me. Thanks for this post. I always look for fun ideas for when my Nieces and Nephew are over which is pretty much all the time. Thanks.